Welcome to Wow Us Wednesdays! I hope a lot of y'all enjoyed spring break last week and I hope y'all are ready to party here this week! 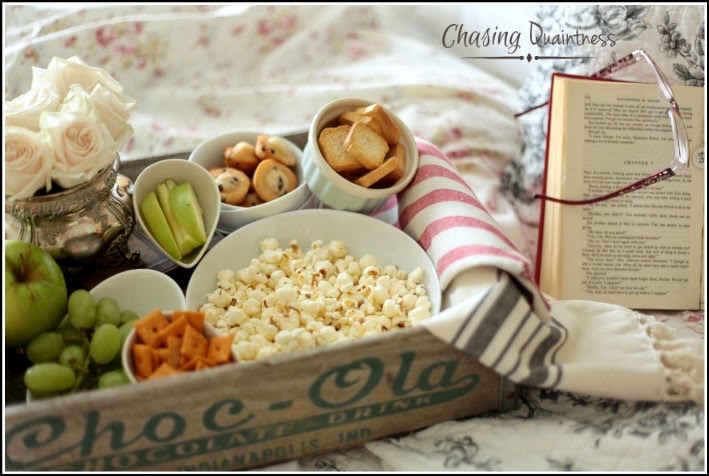 Sometimes we just need to slow down and enjoy a bit longer in bed like Chasing Quaintness did. With the warmer weather that means we show more skin and we want it to look its best. 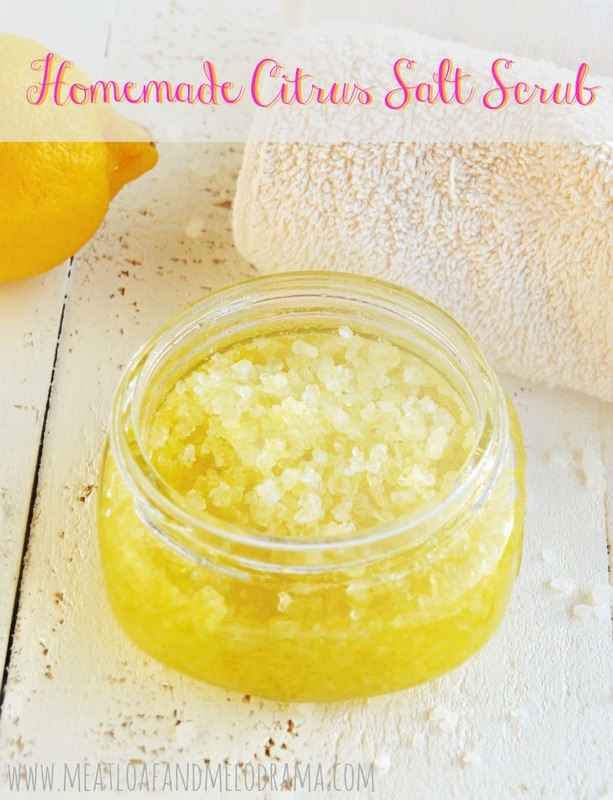 Here is a recipe for a citrus salt scrub by Meatloaf and Melodrama. Julie at Lilacs and Longhorns transformed a factory finish table into a farmhouse beauty. I love being able to travel to another country and feel like I'm actually there, but from the comfort of my home. 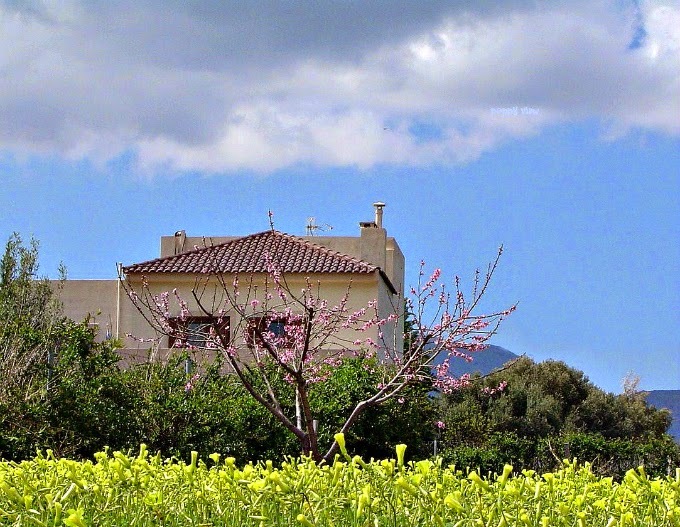 Check out some spring beauty in Crete by Poppy View. For your sweet tooth this week is this yumminess shared by Ms. Toody Goo Shoes. Thanks so much to everyone who parties here! Loving the features!! Thanks so much for the party! Hi Kim! Thank you for hosting. Love how the bathroom turned out! Thanks for the inspiration and having me this week Kim! thanks so much for having us over, Kim!! Hi Kim, thanks for the party and I want to tell you how much I love your guest bathroom made over. It's really nicely done. Thanks, Kim! Great features this week. Thank you so much for sharing and hosting, Kim! Have a beautiful week! Another week of great features....thanks for hosting Kim....have a great week! Thanks for the pretty party, Kim! Have a great week! Kim! Doesn't it feel great to finally have our bathroom reveals! I'm loving your farmhouse cottage style, that looks is utterly charming. Your hubby did an awesome job with the tile. I'm happy to join you this week. Great features this week Kim! Thank you so much for hosting!!! Fabulous features, Kim. Thanks for hosting. 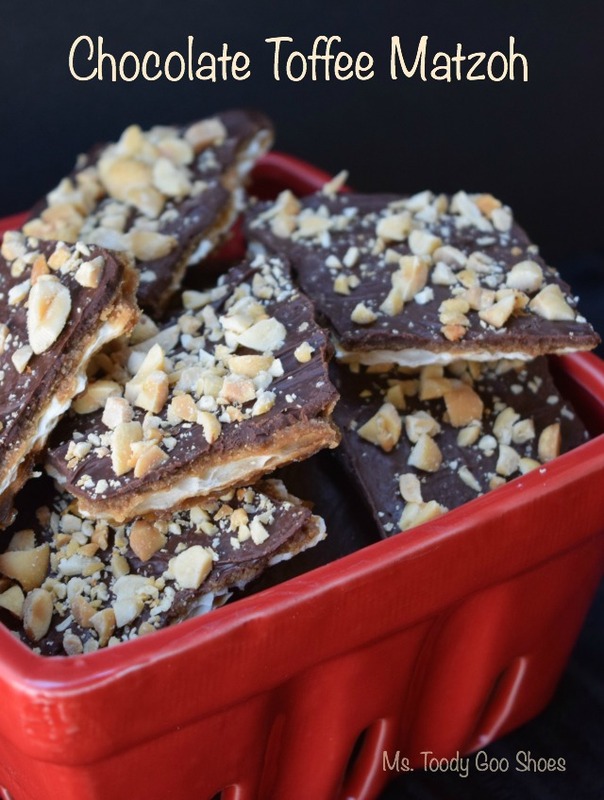 Thank you so much for featuring my chocolate toffee matzoh, Kim! All of the features are all so inspiring. Have a wonderful week! Inspiring features, Kim. Thank you for hosting--have a wonderful week! Thank you Kim! Hope you're having a great week! Great features this week, Kim--love the farmhouse table, especially. Thanks so much for hosting your lovely party! Kim, thank you so much for featuring me this week! My very first ever!! I'm excited and appreciate it so very much! Have a wonderful evening! Kim, thanks for hosting! Have a great week. What a sweet surprise at breakfast this morning, to see my village featured in WOW! Thanks so much for hosting and hope you have a lovely week! Your guest bathroom looks amazing - know you are thrilled!! Hi Kim, happy to be joining in for your fabulous Wow Us Wednesday Party! Always the gracious hostess and what great features! Super features, Kim and thank you for hosting! Thanks again for the party, look forward to it every week!